The New England Patriot’s tight end position player, Rob Gronkowski, was put on the bench last year in December due to a severe injury—another herniated disc. Gronkowski underwent successful surgery and hopes to return for Super Bowl 2017. He had three herniated disc incidents, including the latest one. Gronkowski first ruptured his L5-S1 disc while in college in 2009. In 2012, he herniated his L4-S5 disc; and the recent one is a “re-herniation” of the L5-S1 disc. Although his injury isn’t a career-busting one, the 27-year old has to be extra careful going forward to dodge long-term injuries. 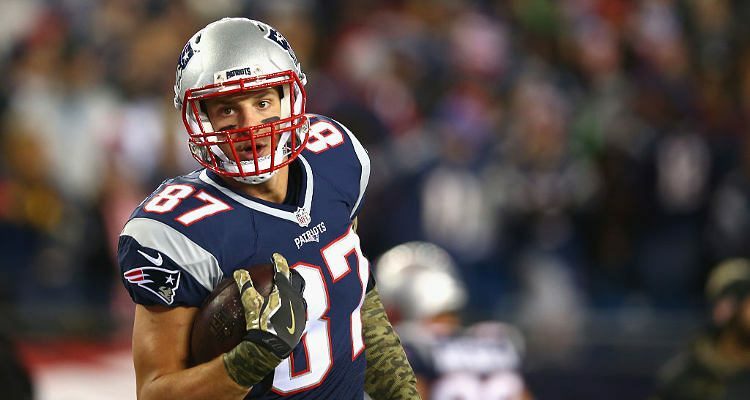 Rob Gronkowski’s return hasn’t been confirmed yet; however, the player was spotted in the Patriots’ locker room doing some warm up exercises. Gronowski has been following his physiotherapy and workouts sessions since his surgery. But will Tom Brady’s dependable man return this season? Well, only time will tell. Rob Gronkowski works out five days a week during the off-season. On the weekends, he plays other sports. He refers to these two days as “active rest” days. He trains hard in the gym and planned his workouts to focus on improving his sports performance. His workout regime includes circuit training with strength-building exercises. These exercises include moves that develop explosiveness, core stability, and mobility. Gronkowski’s everyday workout routine starts with weightlifting and ends with HIIT cardio. Here is what his daily fitness routine looks like. sprinting (10 sets of 100 reps, with a 50-second rest in between). agility drills (4 x 3 sets of each). medicinal ball tosses (1 set of 30 reps). All these exercises improve Gronkowski’s agility, and strengthens his core and hip muscles. push-ups (3 sets of 20 reps). He wraps up the routine with a shuttle run of 10 sets for five to 15 yards, with 45 seconds of rest. hamstring curls (3 sets of 10 reps). The workout ends with his favorite exercise—jogging the stadium stairs. He completes five sets from the bottom to the top. On the weekends, you will not find Rob Gronkowski in the gym. Instead, the athlete does cross-training. He can also been seen out and about playing different types of sports, especially basketball. This kind of training improves his speed and endurance.